What we do: Advanced Health provides day hospitals that offer patients, surgeons and medical schemes a cheaper alternative to surgery performed in conventional general hospitals. 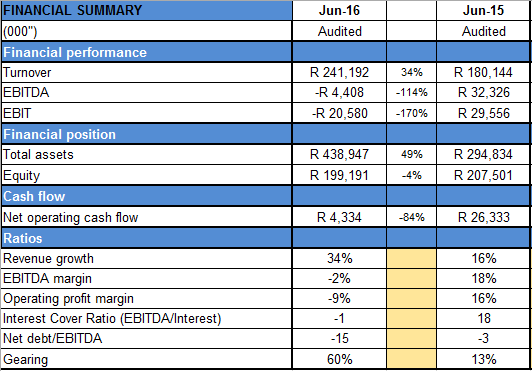 Ownership & Management: Eenhede Konsultante (Pty) Ltd, PresMedical Witbank (Pty) Ltd and individuals 48.3%, Public 51.7%. Advanced Health is governed by a board of directors.